Loot Crate DX is Loot Crate’s deluxe crate. They pitch it as an “elevated assortment of collectibles, apparel, home goods and more from your favorite pop culture franchises every month.” They also promise no crossover items from the Core Loot Crate box. Please Note: This arrived later – we received ours toward mid/late December. It’s not here! It’s arriving later than everything else, so you’ll need to be on the lookout for the Breaking Bad shirt. Bummer. 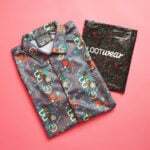 It comes with a fold-out information card that details the items in your box. Dexter’s Laboratory Pin – Value $5-10? This month’s pin is very theme appropriate and featured Dexter’s Laboratory. It’s one of the more unique pins in terms of the pin itself, too – great design. 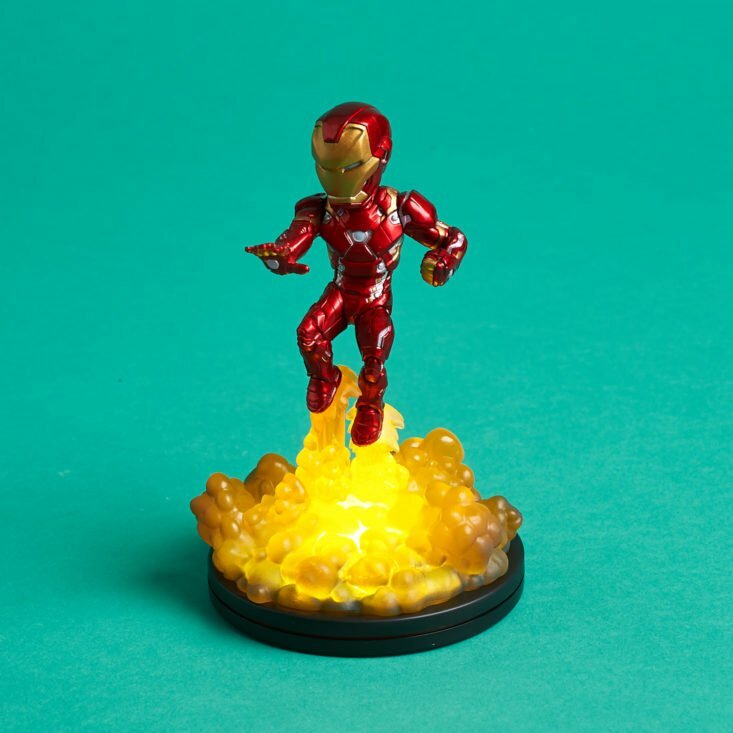 Back in the day, May 2017, we received the light up Star-Lord figure – so now, you can pair Iron Man with it. QFigs are some of my favorite vinyl figures – and the light up ones are my favorite of the lot. Jurassic Park INGen Glass Beaker Mug – Value $15-20? I thought this was a fun little Jurassic Park callout without being too obvious. Enjoy some hot coffee on cold days with this mock INGen beaker mug. Batman Umbrella – Value $15-20? The final item in the box features the classic Batman logo. Use the Dark Knight to protect you on a dark rainy night. Verdict: Loot Crate is having a lot of shipping issues with their crates – they’ve just canceled their Star Trek crate, too – so you’re going to have to be alright with potential delays when subscribing to any lines right now. As a fan of QFigs, I definitely was drawn to the items this month – and as a fan of Jurassic Park and Batman – all of the items worked for me even though the franchises felt a bit disjointed. What did you think? Can you still get this box if you sign up today? No – you can find the current month available at the top of their homepage. 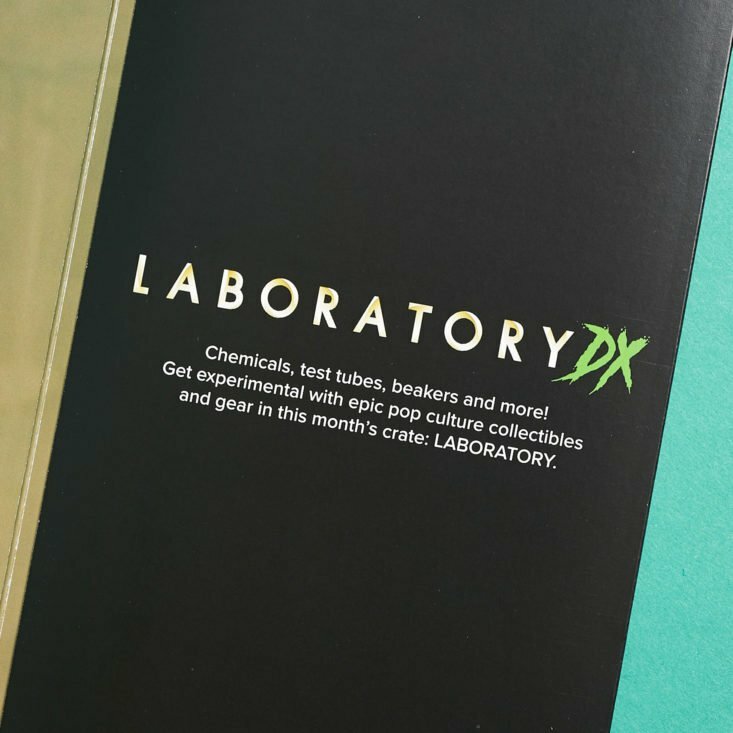 What did you think of the November 2018 ‘Laboratory’ Loot Crate DX? How do subscribers rate Loot Crate DX? Do you subscribe to Loot Crate DX? Add your rating now! I really like this crate but I subscribed for my son and was so disappointed in the shipment delays. I canceled by the next box. Since they get the money upfront there should not be a delay in shipping. It’s sad because if not for that I would have kept the subscription. I’m a nerd, but have no patience for that tomfoolery. The Batman umbrella is the only thing I like. May try to find a place to buy that. "I just went back and verified. The last kit was $25 with about a $120 retail value. This one is $50 for $218 RV." "I think the word for this is ballsy." "I'm still waiting for my add-ons from April add an item they forgot to include"